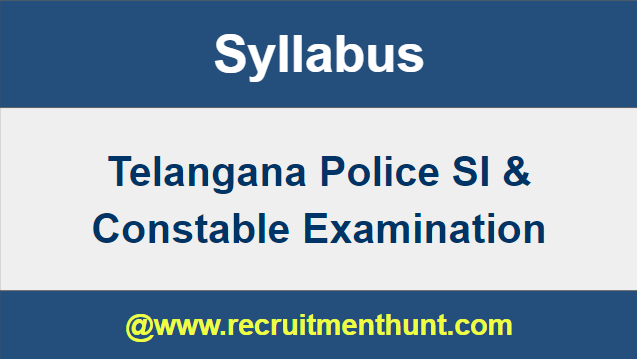 Telangana Police SI & Constable Previous Year Question Papers The candidates who are in rush to collect the Telangana Police SI Syllabus and Telangana Police Constable Syllabus PDF & Exam Pattern 2018-19 are at the right place. 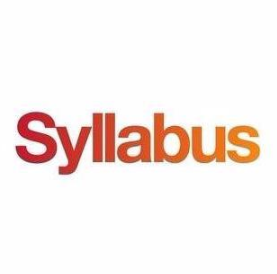 Since the complete TSLPRB SI Syllabus in Telugu & TS Police SI Exam Pattern 2018-19 is available here for download. Therefore, you can check Telangana Police SI Syllabus & Exam Pattern for SI and Constable Posts and can also download TSLPRB Police Syllabus from this page. We have also Provided Telangana Police SI Previous Year question Papers here for reference purpose. Therefore check and get TS Police SI & Constable Previous Papers from the below links. Telangana State Level Police Recruitment Board has invited applications from all the talented and energetic aspirants for Police Constable and Sub Inspector Posts. The TSLPRB is going to fill overall 539 Police Vacancies through this TSLPRB SI Notification 2018. So, the eligible candidates who show interest for Telangana Government Jobs can apply this Telangana Police SI Notification 2018 through Online before the last date. The TSLPRB Police SI Syllabus and TS Police SI Exam Pattern are crucial for all the competitors to score high marks in the written exam. Hence, the applicants must download TS Police Sub Inspector Syllabus & TS Police SI Exam Pattern 2018-19 which is provided below. The applicants of Telangana State Police Recruitment 2018 are facing problems in searching the Telangana Police SI Syllabus & Exam Pattern on various websites. Hence, as a solution to their problem, we have provided detailed topic wise Telangana Police SI Syllabus & Exam Pattern for Telangana State Police Jobs on our website. Therefore, you can easily download Telangana Police SI Syllabus & TS SI Exam Pattern 2018-19 from this page at a free of cost. All the contenders must start their preparation as fast as possible because of the great competition for the Telangana Police SI Recruitment 2018. Bookmark our website Recruitment Hunt to get more latest updates regarding all Government Jobs, Syllabus, Previous Year Papers, etc. The TSLPRB Preliminary Written Test consists of 200 objective type questions for 200 marks. There will be 100 questions from Arithmetic and Reasoning Ability topics, and the other 100 questions are from General Studies subject. One mark for each question is allotted and the exam duration is 3 Hours. The Telangana Police Mains Exam is comprised of four Papers – Two Objective type and Two Descriptive type papers. Paper-I and Paper-II consist of 200 multiple choice questions each from Arithmetic, Reasoning Ability, and General Studies topics. The Paper-III and Paper-IV are of the descriptive type, where the candidates should write a short essay in English and Telugu/ Urdu. The complete and detailed Telangana Police Sub Inspector Syllabus for both Preliminary & Mains Exam is as follows. Sensitivity to Gender and Weaker Sections. State Formation -The idea of Telangana(1948-1970). Formation of Telangana State (1991-2017) etc. The Telangana Police Constable Syllabus and TS Police Constable Exam Pattern are available here to download. So, the candidates who are looking for Telangana Constable Syllabus can easily access the TS Police Constable Syllabus and Telangana Police Constable Exam Pattern from this page. Therefore, the participants can easily and freely download Telangana Police Constable Syllabus & Test Pattern from this page. Also, get Telangana Police Constable Previous Papers PDF from this site. Telangana State Level Police Recruitment Board (TSLPRB) has recently published a recruitment notification for filling up the Constable vacancies in various cadres. So, the candidates who wish to accomplish their career in the Police Department can apply for this Telangana Police Constable Recruitment 2018 on or before the closing date. All the applicants have to start their preparation without wasting the time to crack the Constable job in the Telangana Police Department. For the proper preparation, download Telangana Police Constable Syllabus and TS Police Constable Exam Pattern from here. Here is the good news for all the aspirants who are looking for Telangana Police Constable Syllabus PDF. The complete and detailed TS Police Constable Syllabus and Telangana Constable Exam Pattern have been updated on this page. So, the candidates who are preparing for Telangana Police Constable Exam 2018 can download Telangana Police Constable Syllabus along with the TS Police Constable Exam Pattern from this site. The contenders must also practice Telangana Police Constable Previous Papers for the better exam preparation. Candidates who are preparing for Telangana Police Constable Exam 2018 are facing difficulty in finding the exact Telangana Police Constable Syllabus. So, in order to help them, we have enclosed the latest and complete Telangana Police Constable Syllabus and Telangana Constable Exam Pattern on our website. Therefore, the aspirants can download Telangana Police Constable Syllabus and Telangana Constable Exam Pattern from the below sections. Also, download Telangana Police Constable Solved Previous Papers by clicking the PDF link given below. In Telangana Police Constable Prelims Exam, there will be 200 multiple choice questions for 200 marks. In the Final Test, there will be 200 questions of objective type for 100 marks. Each question carries 1/2 mark and the exam duration is 3 Hours. The complete subject wise Telangana Police SI And Constable Syllabus is as follows. Finally, candidates can download Telangana Police SI & Constable Syllabus. So, applicants can make their preparation easier by following the Telangana Police SI & Constable Previous Year Question Papers Download the Telangana Police SI & Constable Previous Year Question Papers along with. Also, for more job updates stay updated and do subscribe to our website RecruitmentHunt.